An AI primer with ideas to help with early stage planning. Artificial intelligence (AI) is breaking the hype meter in the contact center industry. 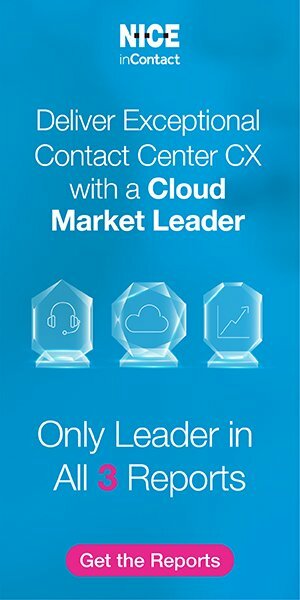 While it’s only in the early adopter stages, it appears to be grabbing the attention of contact center technology sellers and buyers. With all the confusion such enthusiasm creates, it seemed a little primer is in order with some ideas to help with early stage planning. To aid me in my quest, I talked with a few industry experts and absorbed as much as I could through research and discussions with a variety of vendors and others at the recent ICMI Contact Center Expo. A special thanks to Tom Lewis of SmartAction and John Hibel of Verint—vendors who shared their insights from real AI projects. Here’s my simple description of AI: AI processes and interprets large volumes of data (and I mean large!) to drive action through decisions and predictions—basically trying to mimic human thought processes on inputs and outputs, but on a scale and speed of data consumption and use that we can’t match. AI is dynamic: it learns, gets smarter and suggests improvements. That makes it a big leap from the static business rules used in contact center technology like IVR and routing for years. So, here’s a clue for identifying the pretenders. While AI requires some human assistance, if a tool is only doing what it is programmed to do by a human (“…if…then…”), then it is not AI! If you want to understand what makes AI possible, look to the convergence of three things: the creation of new algorithms and improvements in existing ones, the generation and availability of _lots of data_, and the cloud as a place to store and apply computing power to all that data. None of that is brand new, but it is accelerating and creating opportunities to do different (and better!) things in many industries, including ours. Figure 1 provides a big picture of the concepts that create this supersmart, closed-loop system with continuous improvement. At the first step, we need Natural Language Understanding (NLU) to process the very important inputs to contact center interactions, like speech and text. NLU is not your mother’s speech recognition; it is using context, not just words, phonemes or phrases, to better interpret the inputs. It may also be characterizing and leveraging the sentiment or tone (what some call “emotional intelligence”). The result is that applications can more readily, naturally and accurately move a conversation forward. To perform its magic, AI needs a large data set to analyze and learn from. The data can include structured data like contact records, account information and recent transactions, as well as unstructured data such as speech or text conversations, or even videos or photos that customers submit. Launching an AI application requires lots of data that is “cleaned” and labeled or tagged (including good and bad outcomes). Then the system continues to capture and evaluate data for its learning and development. An app may tap data in lots of places because it can provide critical context, pointing to the importance of integration in enabling AI. Speech and text from conversations are just some of the data that may be under consideration as an AI application works to recognize patterns and assess what is working (or isn’t) based on targeted outcomes. It is predicting behavior, anticipating the next move and reacting by defining the “next best action,” a phrase commonly used in AI lingo. Another element in that black box between inputs and outputs is Machine Learning. More AI lingo you’ll hear is “neural networks” and “deep learning.” These phrases describe those facets of AI that are exploring all that data, connecting the dots, correlating, trending, predicting, making decisions and recommendations. These activities are highly processor-intensive and can be running many different algorithms to label and process data. The actions AI defines lead to outcomes which can then be assessed. It’s easy to think a good AI app is smart enough to figure out what to do with the results, but a dose of caution is in order here. As Tom Lewis says, “a pattern needs to be recognizable, but also reasonable.” The failures and success are learning opportunities—against a targeted outcome, or an action or response viewed as positive. The system sees the patterns or trends and identifies what should (or could) change. Legends are developing in the world of AI about “bots” left to their own devices and how quickly they run amok from learning from bad human inputs, whether out of ignorance or confusion, or more vicious reasons. A better approach (at least in our industry, in this generation) is to provide human assistance: AI identifies things that a knowledgeable person reviews, and then provides feedback and guidance on adjustments to make. Beyond those elements that are the crux of AI are some critical enablers that can also be differentiators between various solutions and services. An AI application won’t get far without integration to large data sets that may be found in your CRM, WFM, website, mobile apps, social media, IVR, etc. The User Interface (UI) must be well-designed to be friendly and conversational, and provide readily used guidance to a customer, agent or supervisor (depending on the application). And you will need good tools for administration of the application to help someone review outcomes and provide the feedback the system needs to close the loop and refine actions. What Are the Possibilities with AI in the Contact Center? Now let’s dive into what you might do with AI by exploring four key areas of contact center technology. As we do, think about the things outlined above that define and differentiate AI from what you could do for years. Keep in mind the opportunity to marry AI with omnichannel. And perhaps most importantly, know that your use of AI will augment and assist agents, not replace them. Self-Service is the starting point for many companies as “bots” promise greater success rates and user experiences compared to traditional IVR or chat. These tools offer a smart and conversational user interface, and an app that provides answers, guides users through transactions, and knows when to get a human involved and how to find the right one based on the data available. You may hear these solutions called Intelligent Virtual Assistants (IVAs). While some may be single-channel (e.g., a chatbot), a preferred long-term approach is to have an omnichannel platform that can serve customers via a variety of channels—voice, web chat, text chat, etc. Moving over to routing, an AI-enabled engine can use all the information available about who is calling (or emailing, or texting, or chatting, or…) and why, as well as other available context data, to get the customer to the right agent. The app can use the self-service activity (or additional context-driven conversational questions), as well as behaviors, intent and tone to home in on the real customer need and drive the best outcome. This routing is better and smarter than the familiar IVR and CTI because of all that context (data) and because AI is not just “rules” driven. Workforce optimization (WFO) is a field ripe for change with AI. All those contact recordings provide unstructured data that can be processed and assessed. Quality monitoring could become increasingly automated, but perhaps more importantly, drive more targeted action in coaching and developing staff. QM provides a good example of how AI will help understand what was said, as well as considering tone and sentiment, or emotions, taking a leap beyond what we’ve been able to do with speech analytics so far. What was said helps with process compliance (processes and procedures, security, regulations, etc.) while the rest is all about customer experience. AI-enabled workforce management (WFM) has the potential to create better forecasts, staffing projections and schedules because of its ability to consider more data, more variables and more complex patterns and trends than a human. Similarly, it can be more predictive and a faster learner. Apply that “skill set” in real-time and imagine the possibilities to proactively adjust (e.g., tweak break times, ask reps for voluntary time off or overtime, tap reserve staff). Not to slam all those hardworking WFM staff and CC leaders, but replacing manual decisions that often lag events and “chase” service level probably sounds pretty appealing to any center when dynamic, unpredictable events hit. While analytics should be a part of any AI effort, speech, text and data analytics are specific WFO suite capabilities that can also improve. We may see breakthroughs as the AI looks at more data, faster, with more context—and therefore, insight—and with better predictive capabilities. AI-powered desktop tools will guide the agent, provide answers or indicate what to do next through the predictive, “next-best action” smarts that are again consuming massive amounts of both structured and unstructured data. The app could “listen” to a speech or text conversation and drive desktop workflows to assist the agent with speed, accuracy and first-contact resolution. It could tap the right knowledge quickly and proactively, and develop knowledge based on the conversation, desktop activities and outcomes. The agent could use the same bot as a customer, with user profiles defining who can see (or hear) what. There is much to do with AI and the possibilities intrigue. To launch your center on a good path, start by consuming information from credible sources such as analysts and industry experts to solidify your learning. Talk to vendors that are really in the trenches doing AI projects and will share the realities of it (not just the hype). The experts I spoke with were extremely aligned in their assessments of the current state and the paths to success. The strongest message is to “focus on the business problem you are trying to solve and match technology to it,” as John Hibel so eloquently stated. If your project starts out as “We want to use AI…” you are on the wrong path. Tie the planning into your digital transformation and other strategic initiatives, such as personalization and pursuing cross-selling and upsetting. Keep the omnichannel focus to extend applications across channels and avoid silos. If you are going to implement any point solutions, such as a chatbot, do so knowing how it fits in your longer-term plans. And while digital may be where the buzz is, consider where the volume is (likely voice) and define pilots and rollout accordingly. Speaking of pilots, a best practice is to start small, easing into AI with practical use cases that deliver success and learning. Then you can expand into other channels, incorporate more data sources, and add applications. Implementation of AI requires some of the same critical steps as other contact center technology, but perhaps with a stronger magnifying glass. Design with a focus on user interface. Carefully consider the backend integration as it’s even more important to get at all the right data. Recognize you will need expertise, at least to get started, and that doesn’t (and likely won’t) exist internally except for the largest, most mature organizations. Even those that do have some in-house experts may find them consumed with enterprise initiatives and little focus on the contact center. Carefully choose vendor partners to find companies that deliver products and services, with data scientists and analysts who will be there to guide you, and help you learn and optimize. A resounding recommendation is the need for internal analysts or other knowledgeable, connected people to work with the vendor and with the business areas and IT. They will provide input on the actions that should come from the AI insights.